The United Arab Emirates is famous for many things and one of them is jet skiing across the Persian Gulf. Many of Abu Dhabi’s and Dubai’s attractions are visible from sea, so if you plan on having a bit of thrill	with some sightseeing then renting a jet ski in UAE is a perfect idea. SO grab our jet ski and go on a	one-hour long ride with the wind blowing back your hair and the spray of the water tickling your legs. You will feel rejuvenated after a thrilling ride across the water. 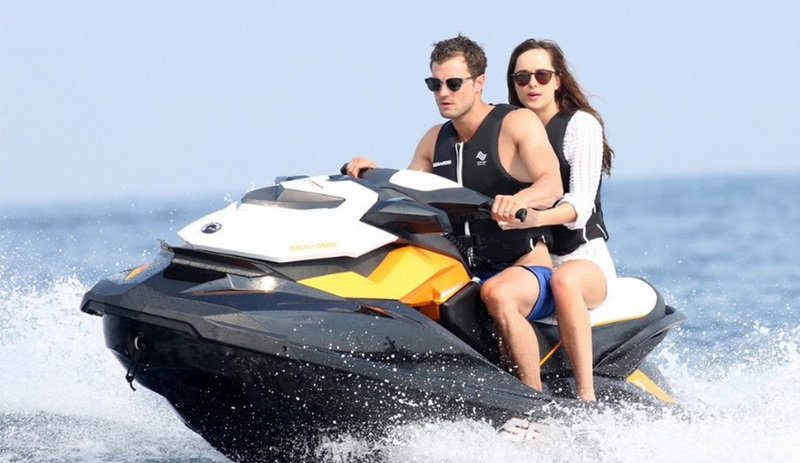 One Jet Ski can accommodate 2 people,	so the minimum number of people for renting the Jet Ski is 2.Whether you and your partner want a romantic	adventure or you want to try something daring with your family, this is the best solution to have a pump	of adrenaline while still being safe. Jet Ski Tour in Abu Dhabi are only operated in specific areas because of safety reasons.